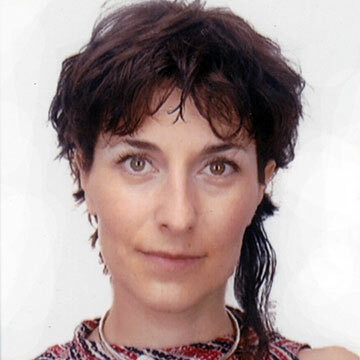 Avril Accolla, designer, scholar and author, researches, and designs accordingly, on Design for All (DfA), Design Driven Social Innovation , Holistic Ergonomics, Strategic Design, Inclusive Design (ID). Graduated with distinction in Industrial Design, Faculty of Architecture, Politecnico di Milano, with the thesis ‘Designing the Normality’, further specializes in Design Direction, Diversity, Marketing,Training Management, Prototyping. Designs and teaches courses in 15 universities in 7 different countries, adjunct professor since 2007, in 2011 has been called as adjunct professor “on outsanding professional achievements” by the Design College of Politecnico di Milano, Italy. From 2014 is associate professor and senior researcher at Tongji University, China. Project leader and teacher in customized courses and workshops for private companies (middle management) and institutions, does keynotes and workshops in more then 40 conferences in 16 countries. Appointed International Scientific Director for the Spanish research project “DfA Curricula in Universities” redesigning academic education for social innovation and integration. Among her publications, the book ‘Design for All. The project for the real individual’ ed. FrancoAngeli, at its 3º reprint, founding the implementation of DfA approach in the industrial world, from its strategic, production and commercial perspective. Professional works since 1998, in 2002 founded avrildesign (design consultancy on product, systems and multimedia), particularly focusing on Design for All (DfA). Co-founder and partner of Confluenze Design-Ergonomics-Marketing network, co-founder and partner of IDI Italian Designed Innovation ltd. Managed a production engineering R&D department focusing on industrialization of innovative products also in mechanical and medical area. Designs and researches for multinational industrial groups (e.g. Legrand s.a., Lactalis s.a., Mars inc.),SMEs, institutions and NPOs (e.g. TNO, EU commission’s DG Enterprise, Tongji University, Milan Chamber of Commerce) in different sectors (e.g. information network, medical, electrical, food, kids, applied science, home). Created various invention patents and received several acknowledgements for her industrial designs among which the Compasso d’Oro Hon.Men. And the DfA Quality Label. Europe and Vice-president DfA Italia, have been Professional Member ADI and Professional Member DfA. Works fluently in Italian, English and Spanish, notions of Chinese.